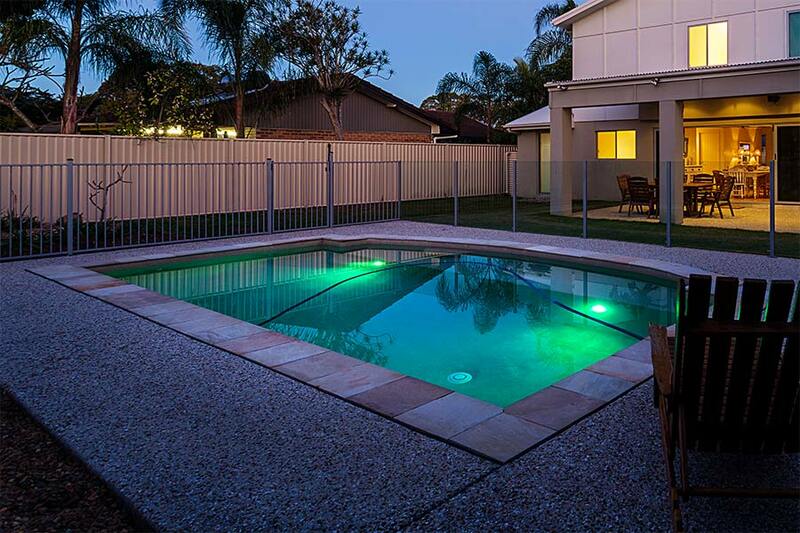 PAR56 LED Bulb - 70 Watt Equivalent - 12 VDC Pool Light: Shown Installed In Swimming Pool. 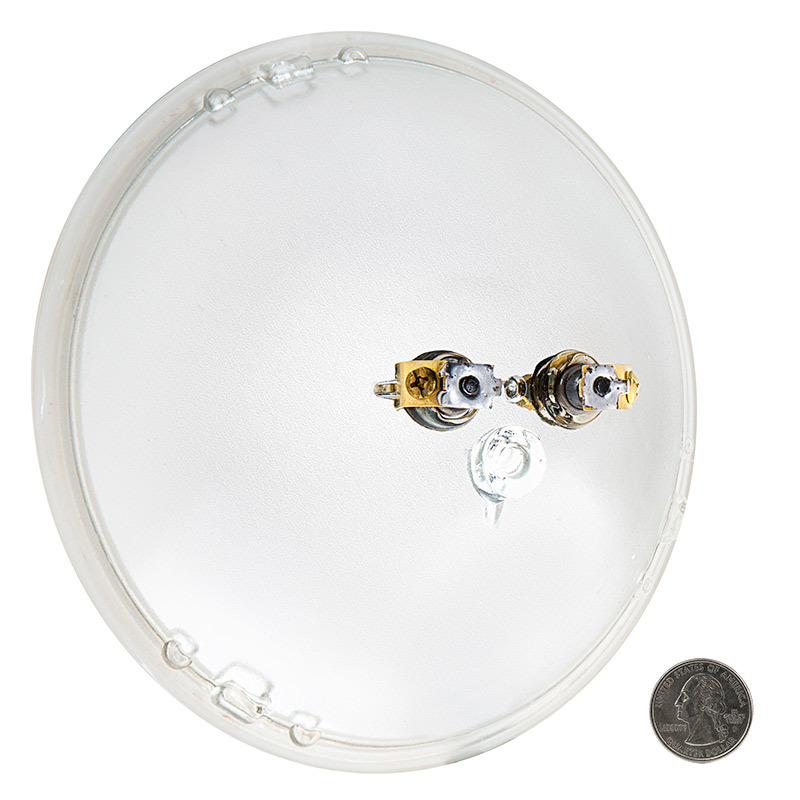 This PAR56 LED bulb is perfect for pool lights, pond lights, and fountain lights that accept PAR56 bulbs with screw-terminal bases. 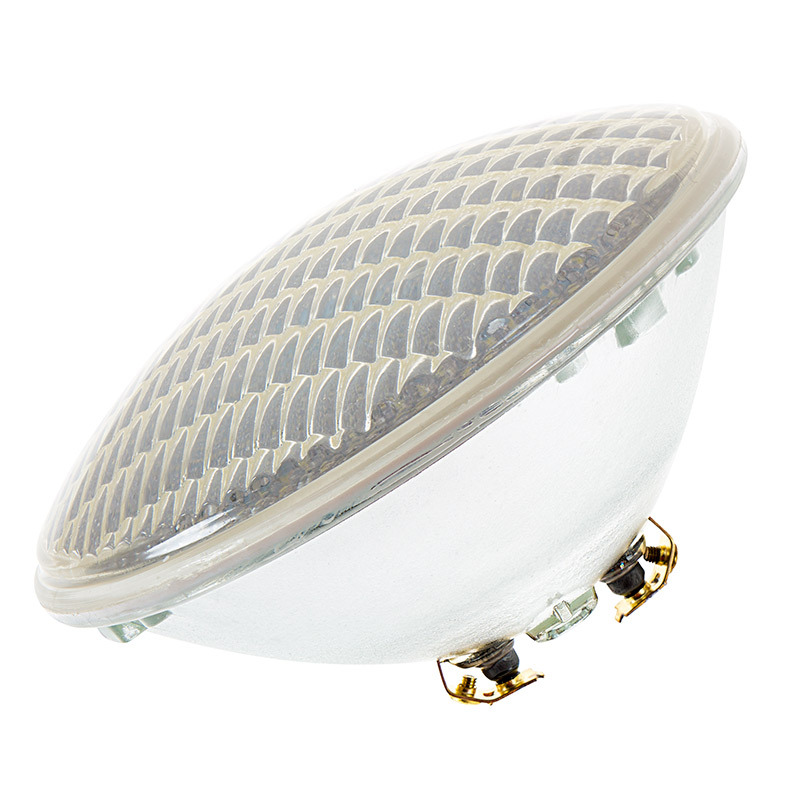 Designed for use in temperatures from 32-194°F, this waterproof floodlight can also be used for spa lighting and hot tub lighting. 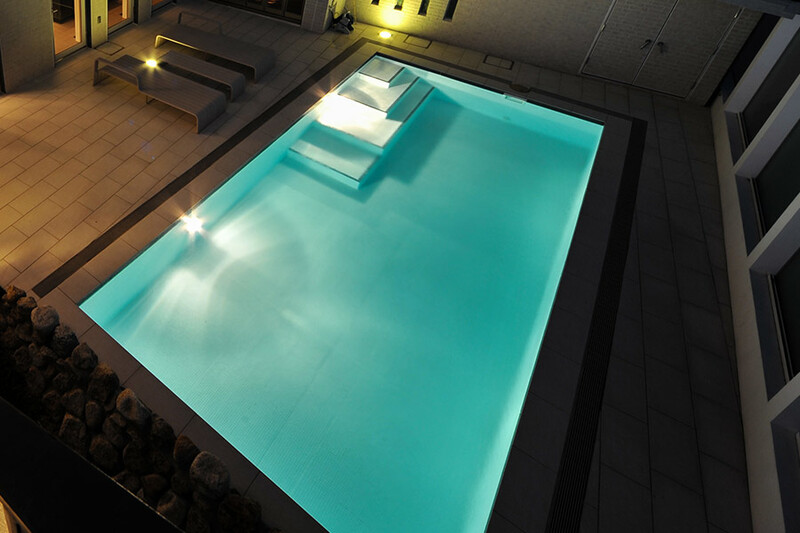 The low-voltage pool light has 12VDC operation and is much safer than 120-volt alternatives. 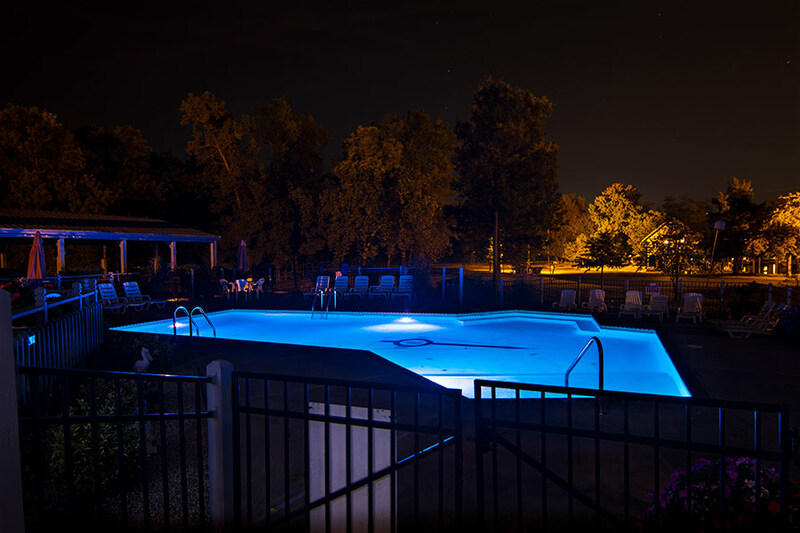 12-Volt pool lights will require a compatible power supply. 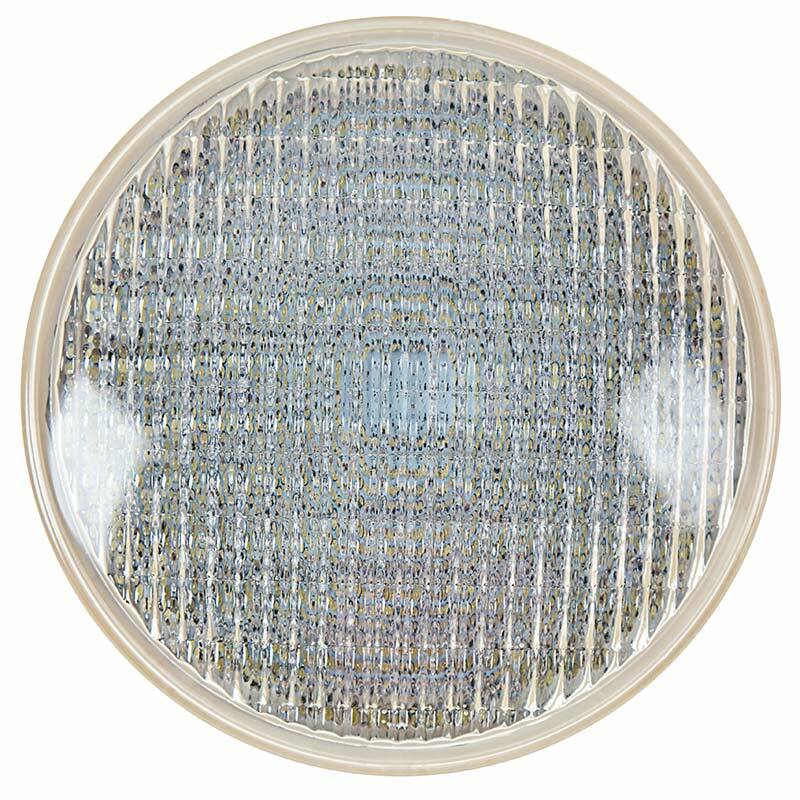 Using enhanced LEDs, the sealed-beam LED bulb emits 970 lumens of cool white illumination in a wide 120° beam pattern. 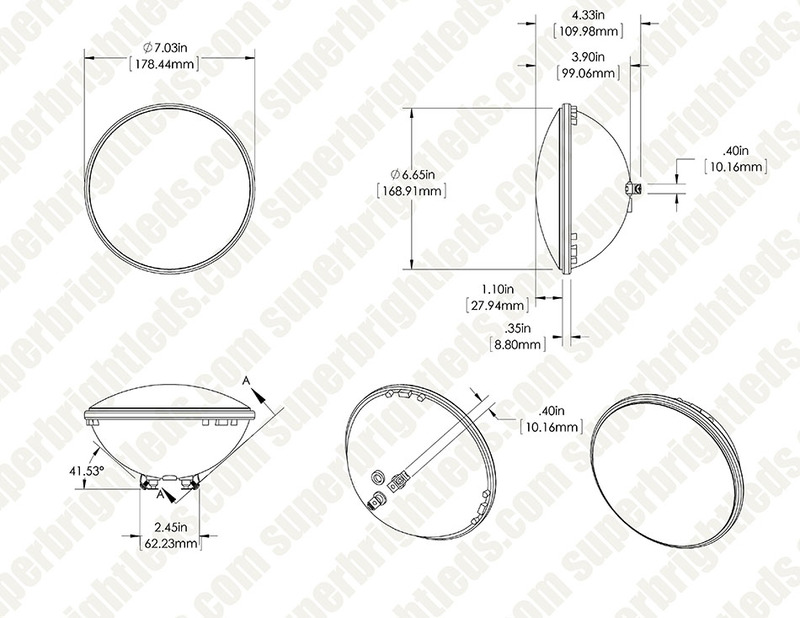 A glass parabolic dome lens with diffusing optics reduces glare and evenly distributes light. 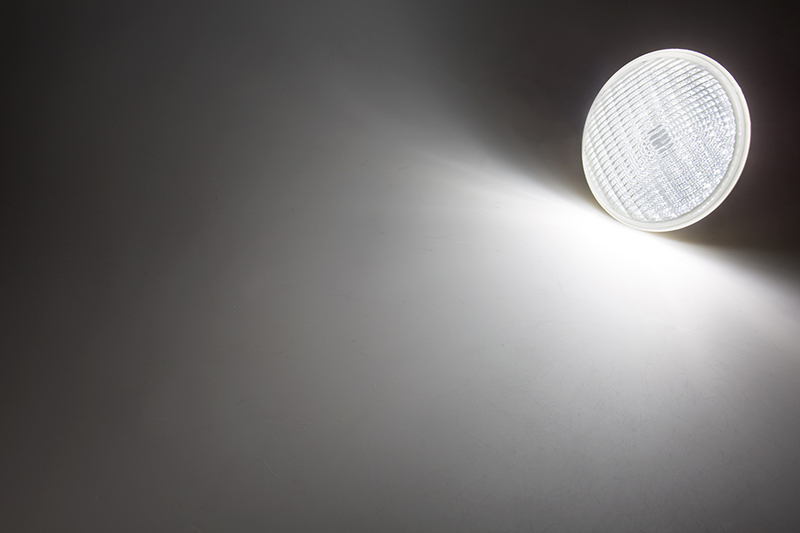 This energy-efficient LED bulb is capable of being driven at 36 watts but typically consumes no more than 21 watts of power; an incandescent bulb with comparable light output would consume 75 watts. 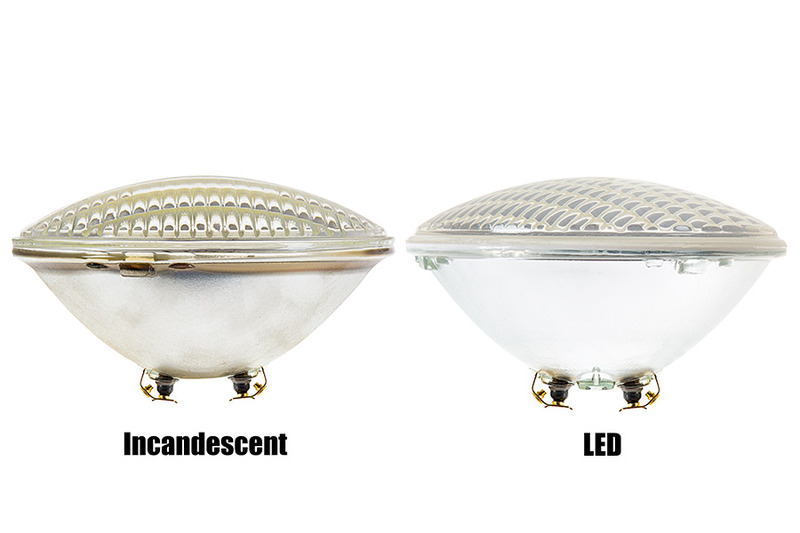 The LED PAR56 bulb is also designed to last 25 times longer than incandescent or halogen alternatives. Price per bulb. This bulb requires the use of of a 12-volt DC power supply. The power supply not only reduces voltage running to the circuit from 120 volts to 12 volts, but it also reduces the current flowing through the circuit. If current should enter water, it can be fatal. Although any amount can be dangerous, less current poses less of a safety risk. 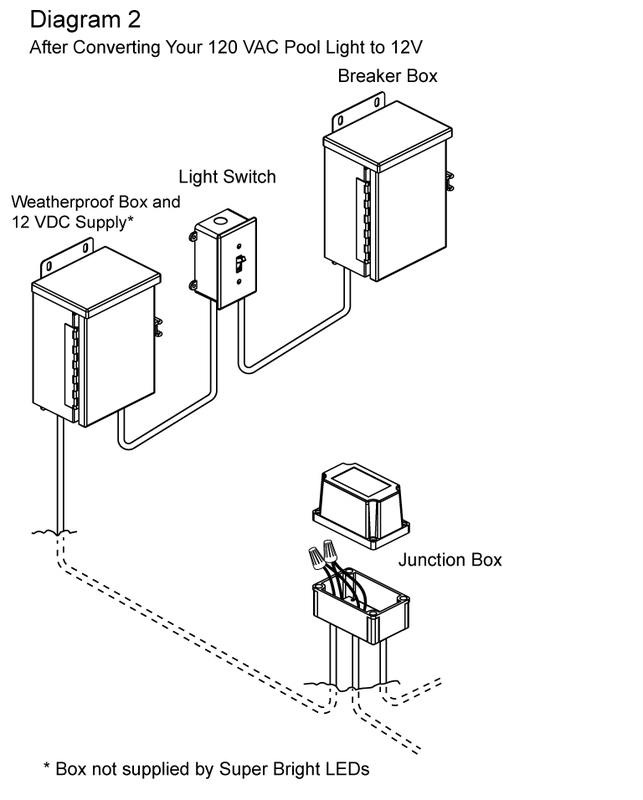 If your current pool light is a 120V AC light, then you’ll need to install a 12 VDC power supply between the power source and the pool light junction box—as shown in diagram 2. 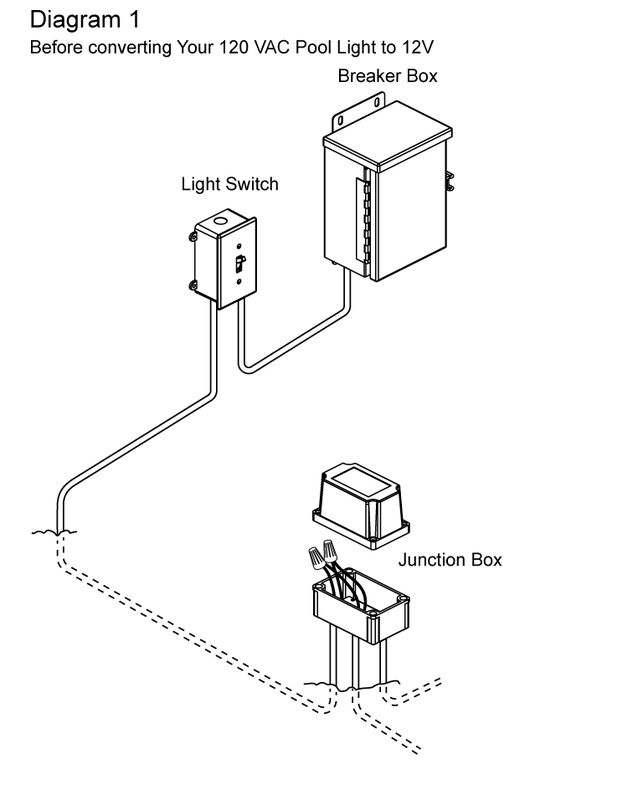 Existing wire from your switch to the pool light may be reused when installing the power supply.